We had our first dinner party last night with our new flatware. Everyone loved them-success! 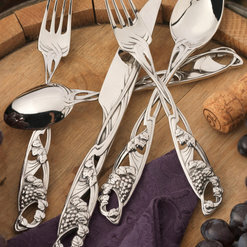 Graham Andrews Flatware is really cool and different! You'll never want to use your boring old flatware again! 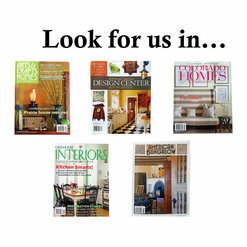 Fabulous flatware adds great interest my table. 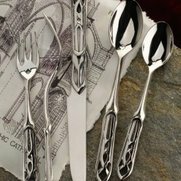 Although I have Sterling flatware I bought 8 sets of Graham Andrews Flatware and absolutely love it. The ease of having the flatware dishwasher safe has been great. 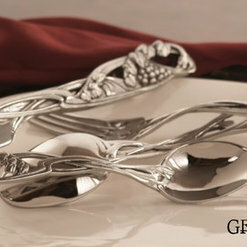 The most creative and beautiful flatware I have ever seen. I ordered 8 sets for my mother for mother's day, and after seeing them I think that I am going to have to order some for myself.